Leaked government documents from the UK conservative party have revealed plans for the United Kingdom to undergo a “grey Brexit”; that being neither a hard Brexit nor a soft Brexit. A hard Brexit implies the UK will sever all ties to the European Union (including the single market) and strictly rely on trade deals established by the World Trade Organisation. A soft Brexit, on the other hand, implies the UK will continue to be part of the EU single market, which current Prime Minister, Theresa May, has effectively ruled out because it would prevent the UK establishing its own regulations regarding immigration. 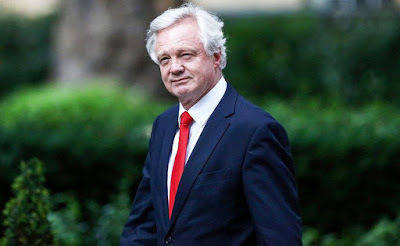 The apparent compromise between the two outcomes is a “grey Brexit”, which David Davis (Secretary of State for Exiting the European Union) has been given permission to plan and eventually implement. In what comes as significant news for our campaign, the plan includes provisions for negotiating trade deals with other countries outside the EU and creating “a prosperity zone of North America, Australia and New Zealand”. Of course, the definition of a “prosperity zone” is open to interpretation, but the very mention of mutual prosperity agreements with Canada, Australia and New Zealand (with the USA) implies potential negotiations of free trade, international diplomacy and freedom of movement between the CANZUK nations. Our campaign team at CANZUK International has frequently been in touch with UK government officials in promoting free movement between Canada, Australia, New Zealand and the UK, and with our email campaign promoting free movement among government ministers and MPs, it appears future negotiations for free trade and free movement could be discussed upon the triggering of Article 50 in March 2017. We will continue to advocate freedom of movement within the UK government and seek clarification for what a “prosperity zone” entails.